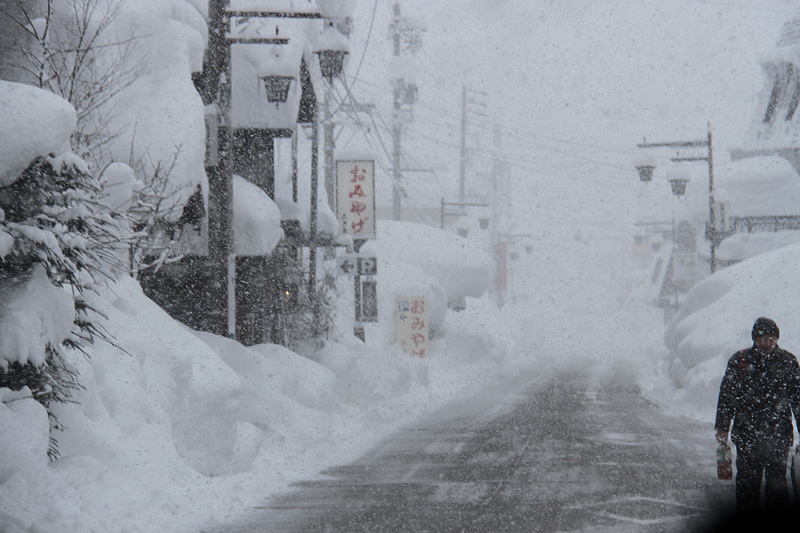 You are Planning a Ski trip to Japan. Well done you. Ever wondered What to Pack for a Ski Trip to Japan? 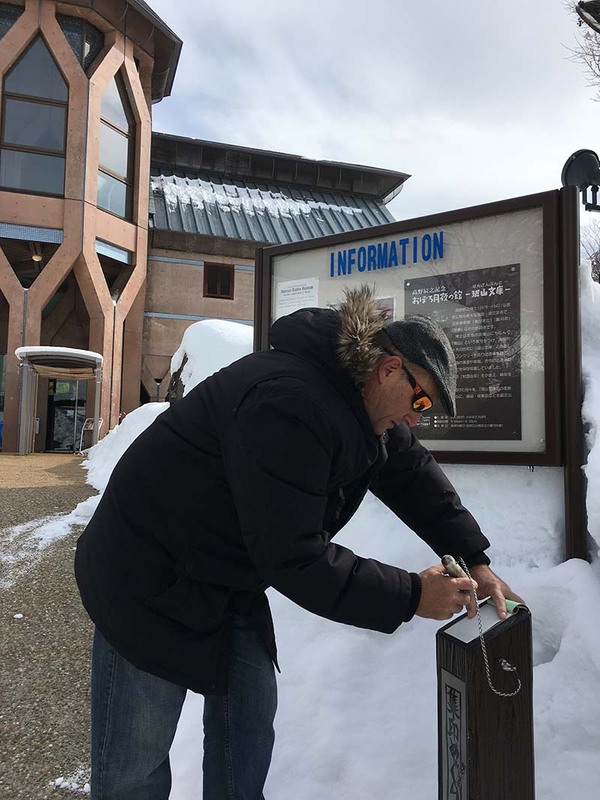 As veterans of skiing in Japan, we can tell you that it is one of the most incredible experiences, and also one of the coldest. Check out the feature photo of me, and I wasn’t too cold. Ok, taking my gloves off to get this selfie in the featured photo was difficult, but the rest of me was all warm, because there is no such thing as being cold, just poor dressing a man from Alaska told me once. Many people ask us what to wear for a ski holiday in Japan, or what clothes they need for a ski vacation in Japan. This article has it covered. You really do not know how cold it can get in Japan until you cannot feel your toes, your fingers, or even blink because there are icicles hanging from your eyelids. 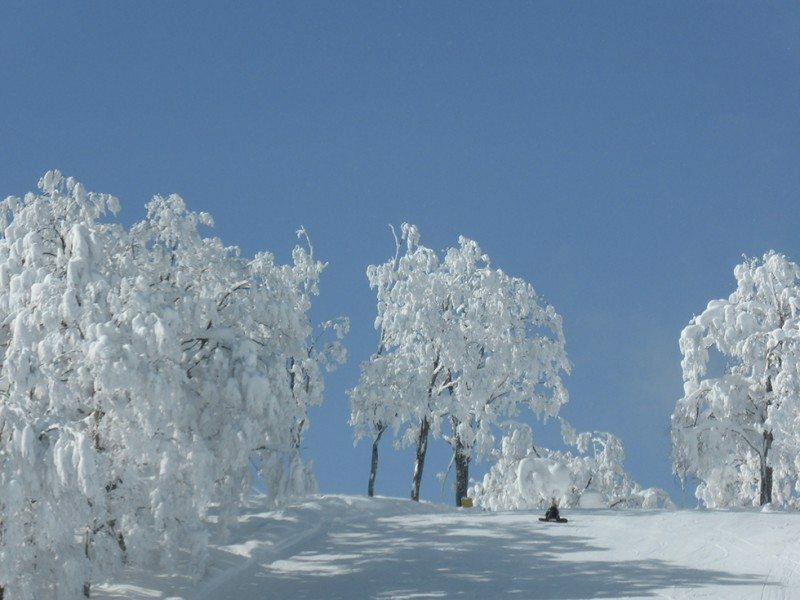 Do not let that deter you, because skiing in Japan is insanely good. Not only do you have deep champagne powder, but you also get to experience a truly unique culture. You have no issue having sake with your ramen noodles at lunchtime, because it is Japan and it is cold, and it is absolutely amazing. That is why everyone returns. The first time we skied in Japan, we wore our Australian ski clothes, and yes we do ski in Australia. Suffice to say that they were totally inadequate for the -20 degree days we had. Because we loved skiing in Japan so much, we came home and purchased the correct gear. While our initial outlay was quite a lot, we have now been to Japan for the last eight years, and are still wearing the same gear. It pays to go for quality to stay warm. We did a lot of research to come up with the gear that would keep us warm, and also last a long time, which it has. These are the brands that we wear. I do wish we were working with the companies, as we do recommend them a lot. OK, I might change my ski pants, and neck warmers occasionally, but that is because I don’t ski as well as Gordon does, so I like to look good. It’s a vanity thing. 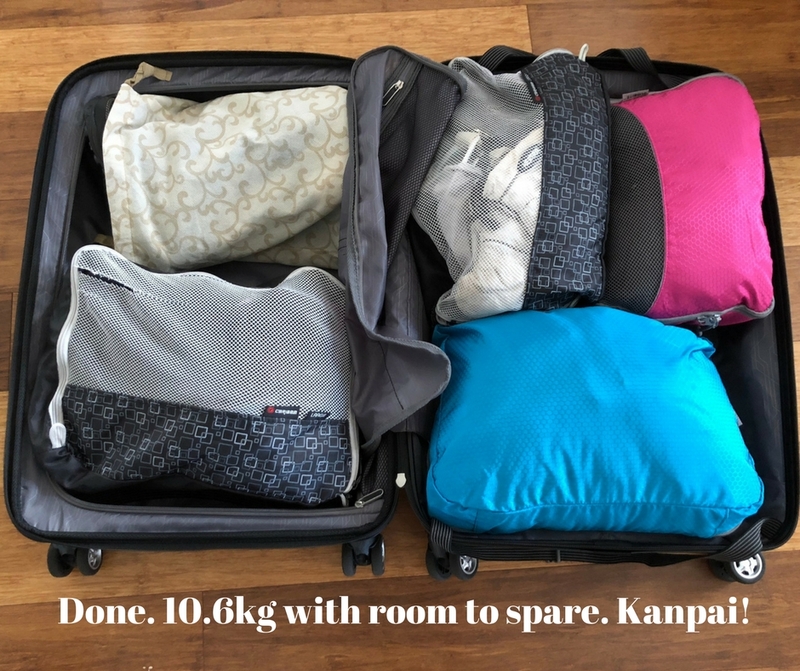 I have included everything that we take with us, and this is topical as we have packed for our annual ski trip to Nozawa Onsen in Japan. 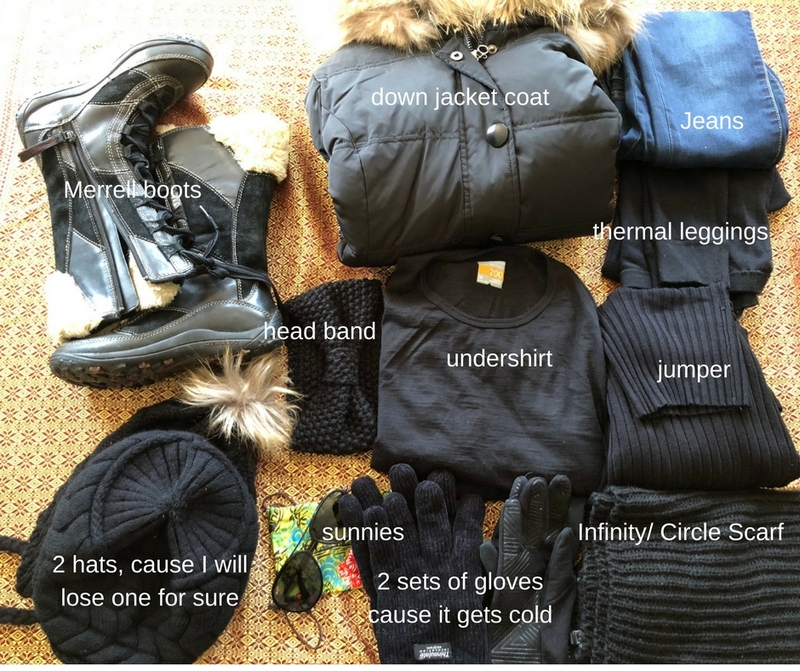 I have divided this post into what to pack for men going on a ski trip to Japan, and what to pack for women going on a ski trip to Japan, and included some unisex items. Yes, you need to be warm from the bottom up, and Merino underwear, is the go. Because you are shredding the slopes, you need to keep the puppies warm also, not to mention keeping them steady. Try a Racerback bra.I don’t actually need this, but I can only wish. You need a singlet, or tank top underneath to keep you warm, and then you add a long sleeved merino T. This is my favourite, and has served me well for years. Over the long sleeved T, I wear the Icebreaker Merino Women’s Tech Top Long Sleeve Half Zip. You may think this is a lot of base layers, but in fact, when you pack for a ski trip to Japan, you only bring these baselayers and wear the same all of the time. And, you will not end up looking like the Michelin woman. I promise you. An absolute must under your ski pants and jeans are thermal leggings.Just don’t bother taking them off. Don’t worry, they never stink because the merino wool makes sure it doesn’t. It’s that anti-wicking property. Good socks are essential, and I take a few pair of these when we ski in Japan. I prefer mittens when I ski, so I recommend Hestra Army Leather Heli Ski Mittens. Others prefer gloves, and I still recommend Hestra as the company, as they know what they are doing. Absolutely essential are glove liners. These are also merino and work well. I have replaced these on numerous occasions, because I lose them a lot, and and I lose hats also. Go figure. Again you can choose a Merino neck warmer, or pick up one that matches your ski pants or jacket. These are neck warmers quite cute too, also. One of the most important purchases you can make is your ski jacket. This one we thought long and hard about, but they have been worth their weight in gold. I never change my ski jacket, though at times, I will change the colour of my ski pants, and hence my neck warmer too. The North Face Women’s Transit Jacket II is amazing, as is The North Face Women’s Arrowood Triclimate Jacket, which my friend recommends. Both of these are great and have pockets which are really handy. I wear ski google when I ski, but if I want to stop on a blue bird day, albeit -18, and sit on a deck chair, and have an Asahi or Kirin Lager, then I wear my sunglasses because it is easier, with the vibrant white from the snow I like my Maui Jim and they are polarised, which is essential. I do love these blue bird days in Japan. 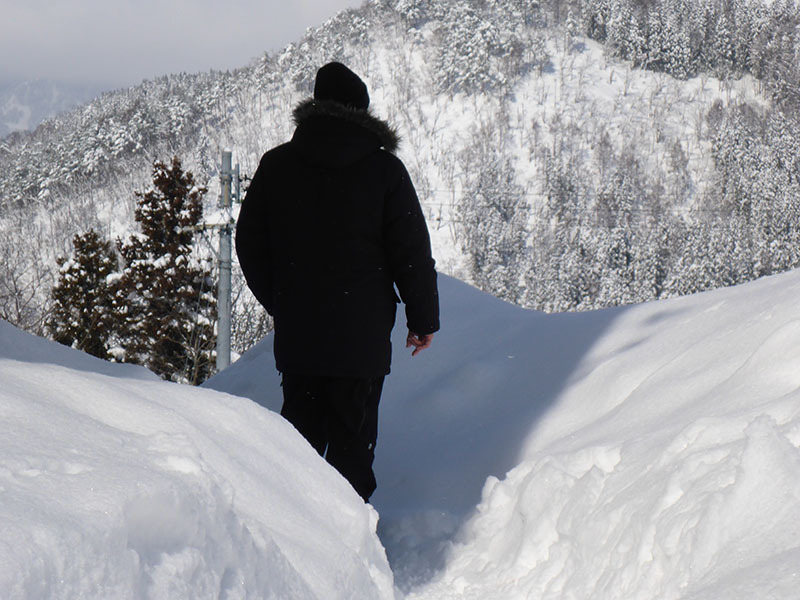 Again, you cannot go past investing in a really good down jacket for walking and exploring all that is offered when you ski in Japan. 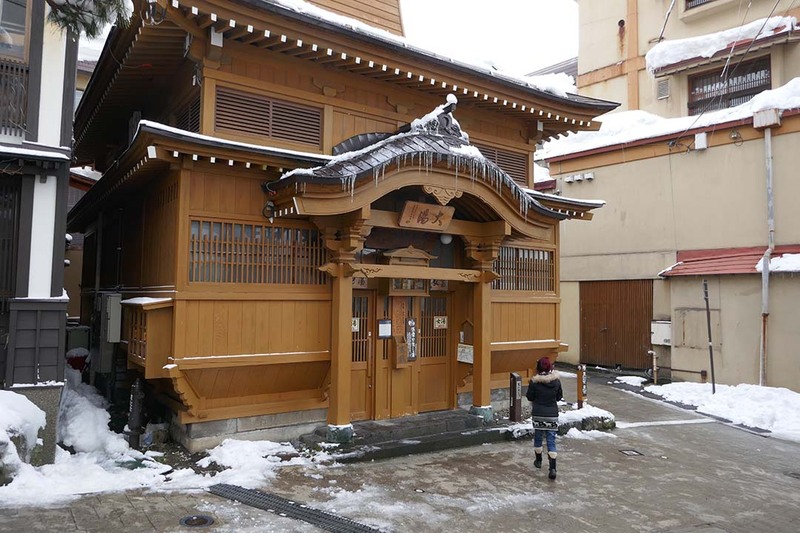 When we go for an onsen, (learn the etiquette of having an onsen here) or out to a local place for dinner, I want to ear something different, but also something that keeps me very very warm. I love my North Face down jacket, though I have a few. It pays to have a scarf so you can wrap it around your face as the ice and snow at times, will come at you with some brute force. I go for a pashmina, because it is wool and bigger, and allows me to wrap my head up tightly. Go cute to match your outfit, and picking a fleece lined one, is always a great idea. And ya just gotta do the pom-pom. 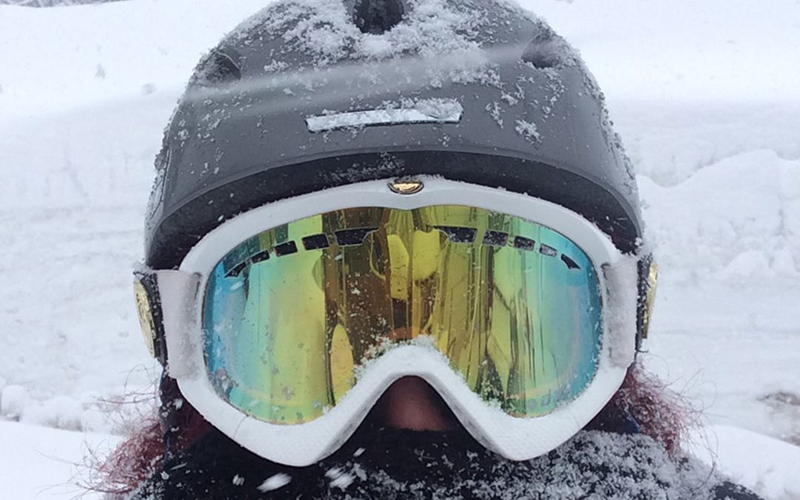 We never ever ski without Ski Helmets. Too many tragic tales, and just not worth the risk. 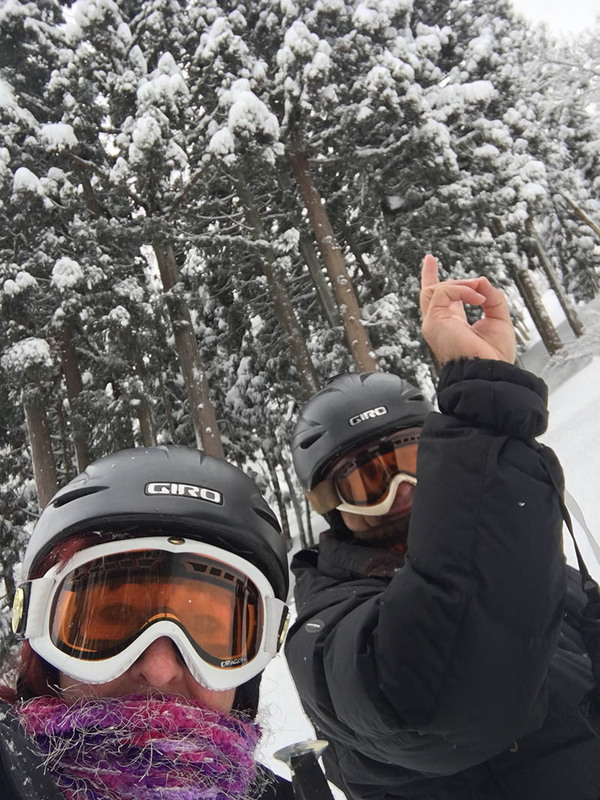 Think Sonny Bono, Natasha Richardson, Michael Schumacher ..
We have had our Giro helmets for a long time, and they are super comfortable, so kudos to Giro Ledge MIPS Snow Helmet. Make sure to strap a GoPro HERO5 to your helmet, for some epic ski footage. Yes, it does get that cold that you will be pleased to have a Balaclava. 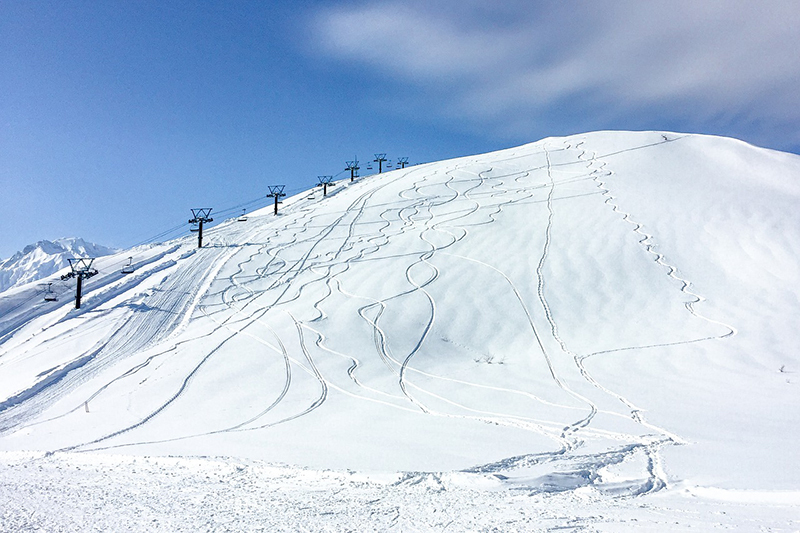 You will get burned on a blue bird day as the sun hits the snow. Always be protected with sunscreen. 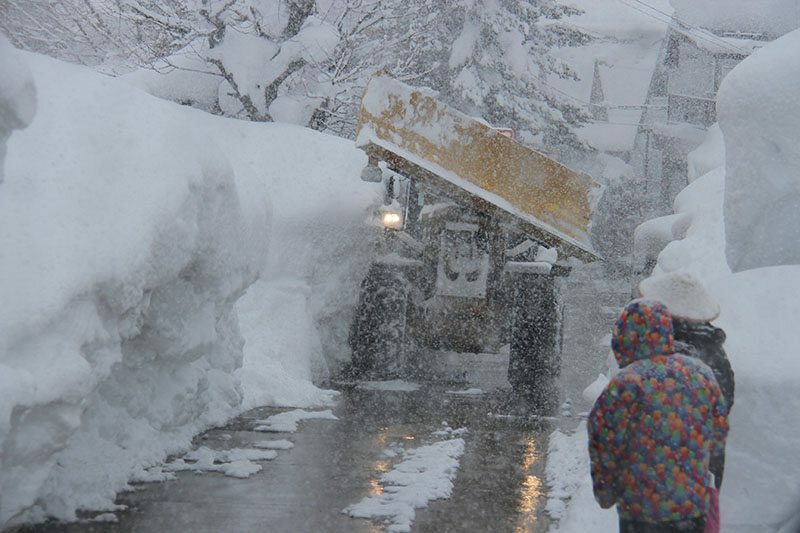 Thermal leggings are essential in the ski season in Japan. You should wear them under your ski pants, or under your jeans. You only need one pair because of the anti wicking properties. Again a thermal t-shirt is essential as is a long sleeved shirt, as is a long sleeved thermal shirt. It does get cold, and you can always open the vents on your ski jacket should you be carving up the slopes at speed. Ok, Gordon doesn’t wear these, but I thought i would add these thermal jeans, for men who want them. 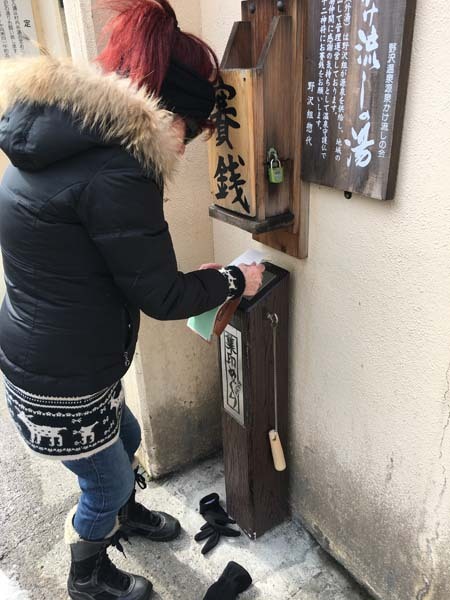 It does pay to have the men’s down jacket for when you are walking around the village, or to see the snow monkeys of Japan, which are not too far from Nozawa Onsen. Selecting polarised sunglasses for the snow that are made for outdoor activities, is a great investment. 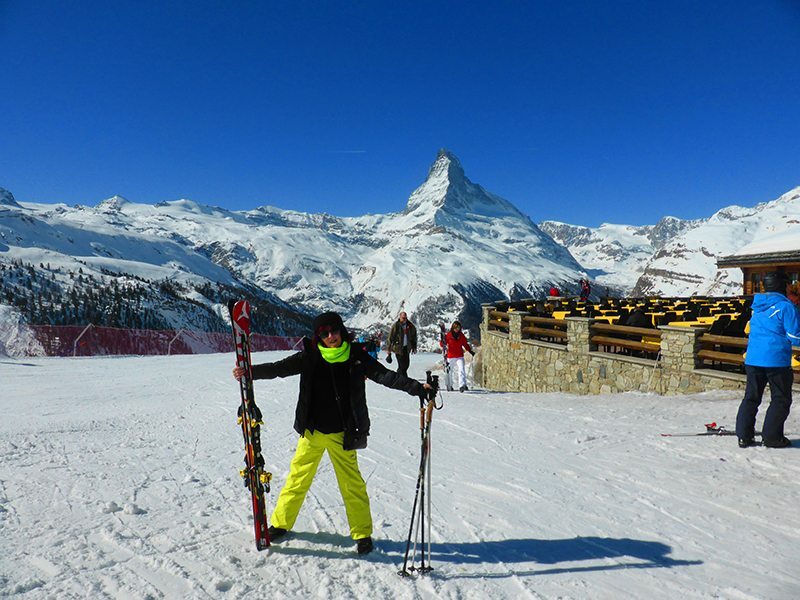 Ski Jackets and ski pants, can be bulky. Use compressions bags to save space. 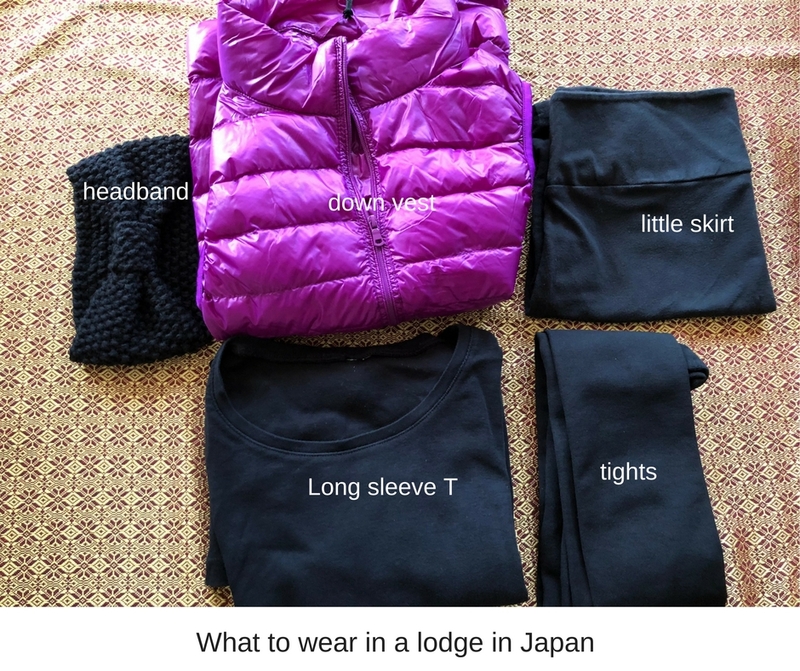 You could carry your jacket, which you will need when you arrive in Japan, and consider wearing your snow walking boots, and then the rest really only needs to be rolled or folded. You won’t have an issue with creasing, because most of the gear we have recommended, it doesn’t matter at all. We only take one suitcase each, and our carry on has computers etc. 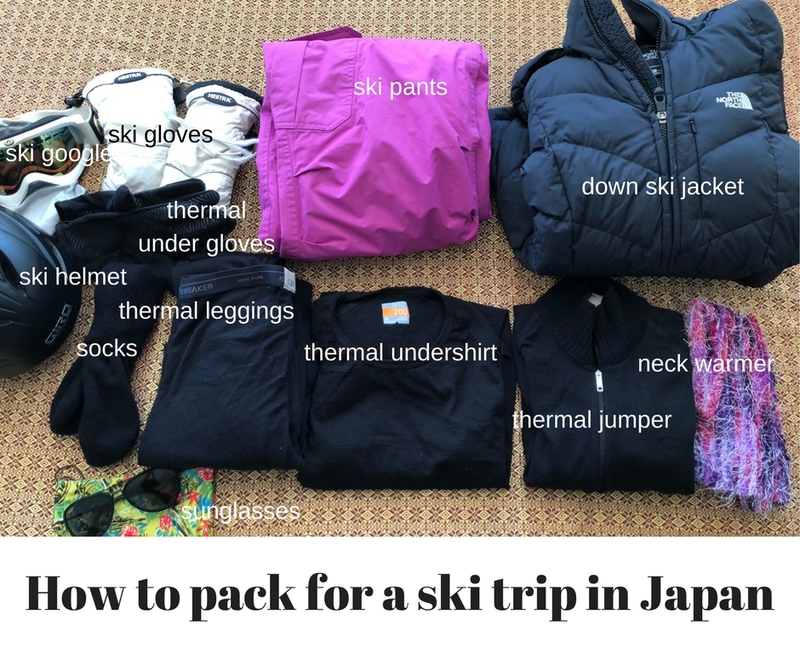 While this list of What to Pack for a Ski Trip to Japan might seem long and extensive, I have yet to meet a person who has not returned to the Land of the Rising Sun to ski this amazing powder, experience such a unique culture, and sampled a sake or two. 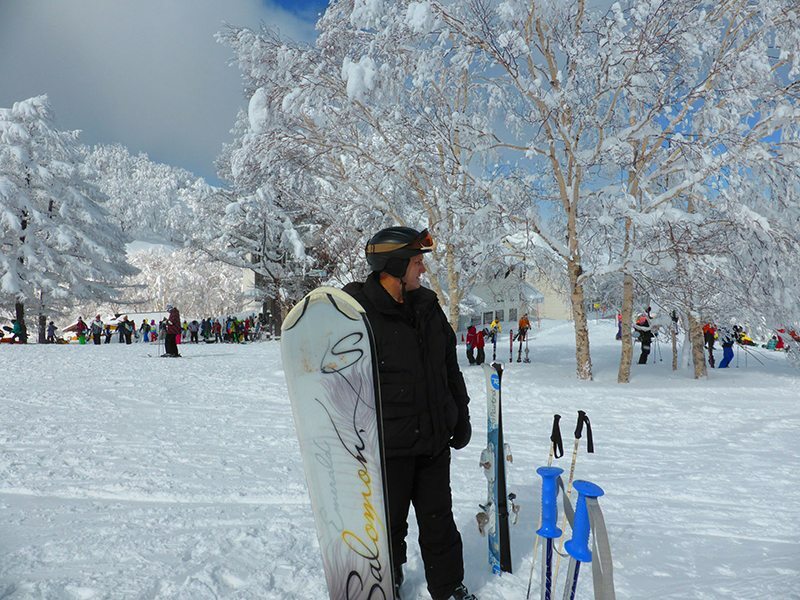 Skiing in Japan is that special, that money out-layed to keep yourself warm and comfortable is a very wise decision. 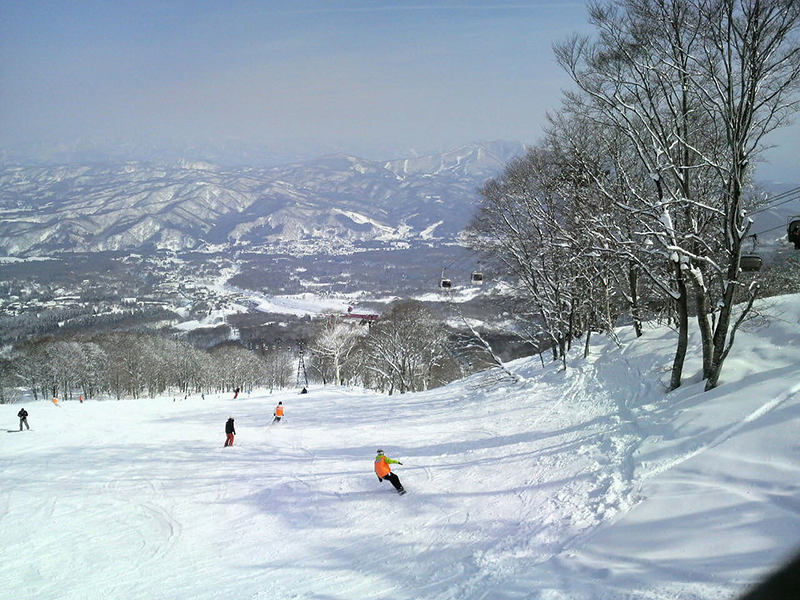 Heading to Nozawa Onsen in January with 3 kids. This is the most useful article on the internet about what to take, so thanks!